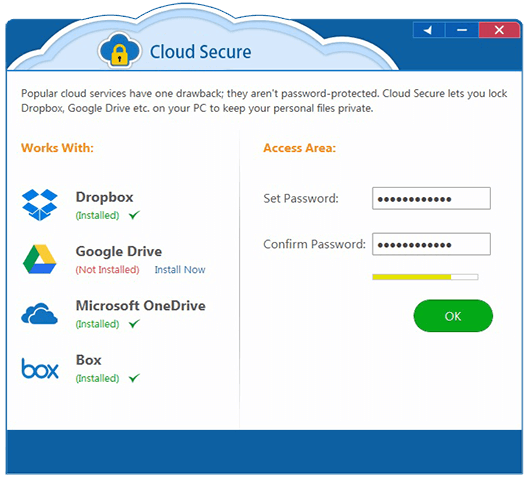 Cloud secure allows you to password protect cloud folders on your PC. It works with Google Drive, One Drive, Dropbox and Box. 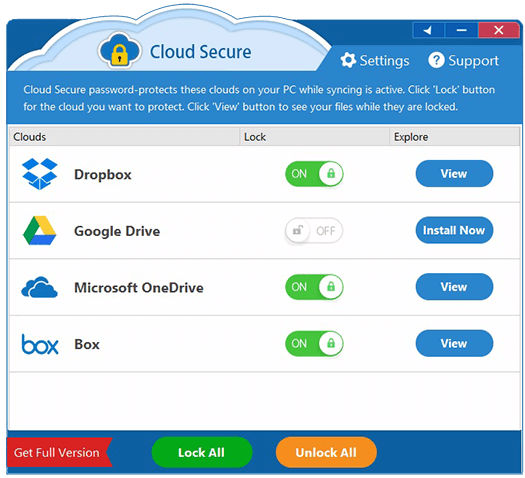 It keeps your cloud files and folders synced, backed up and password-protected. 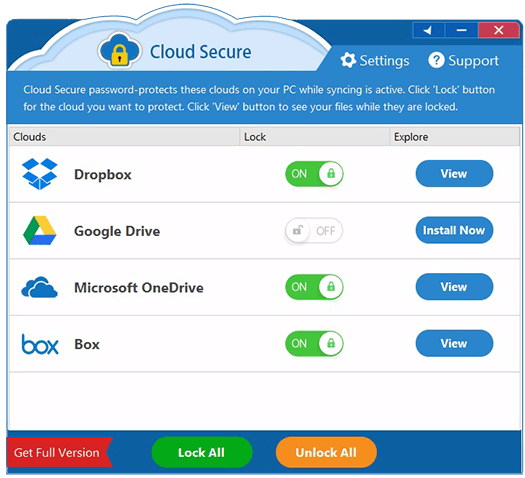 Cloud secure is a comprehensive solution for users who don’t want others tampering with their important files and folders saved in their cloud accounts. 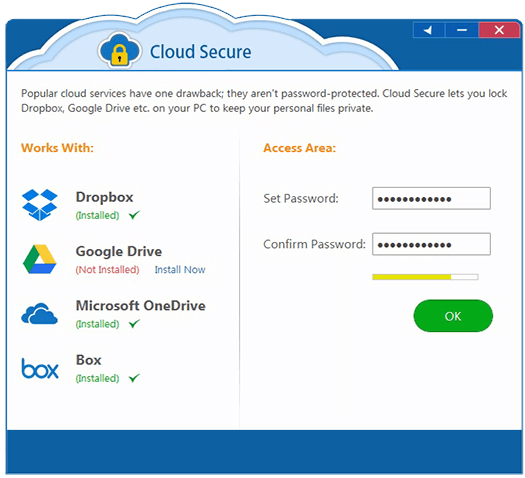 Locks and secures Google Drive, One Drive, Dropbox and Box folders. Prevents non-authorized users from deleting your cloud folders. Restrict other people from modifying your cloud files and folders. 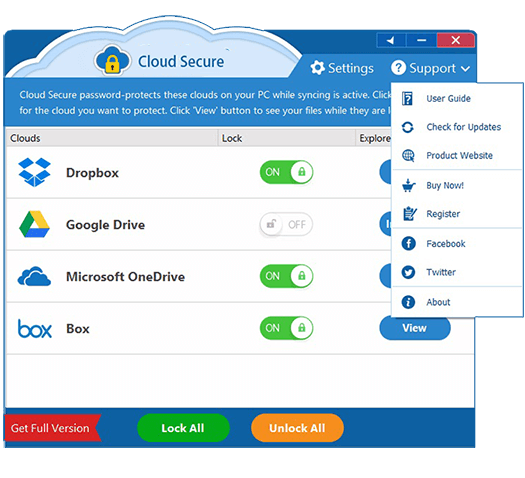 Keeps folders password-protected and synced with your cloud accounts. 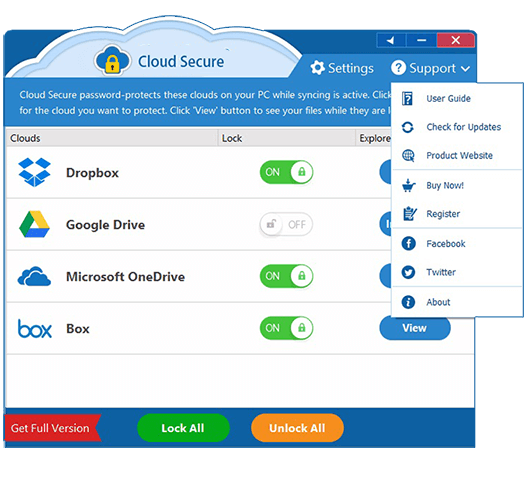 Conveniently download, setup and lock cloud account folders on your PC. One password to secure all your cloud account in just one click.